Apparently the old Unilever factory is to be converted too offices ! Great plan if they can lease the space. They will also build more offices on site. First Gulf bought it. Commercial division of Great Gulf Homes. Similar plan as to what they are doing to the Toronto Sun building except it seems more office and less retail planed. Lakshore and DVP location. An office park this close to downtown, sounds interesting. Offices in a converted factory downtown sounds rather normal. Anyway, with some tax incentives it could workout you'd think ! Great location, public transit is OK, right on the hi-way ! Once the west donlands develops it'll be in the center of things. The new owners of the Unilever site, near the mouth of the Don River, which made Sunlight and Dove soap products for more than a century, say they plan to transform the sprawling former factory into an office park for thousands of workers. David Gerofsky, chief executive of First Gulf Corp., which bought the 14-hectare site from Unilever Canada in a deal announced Thursday, said that he wants to reuse the 225,000 square-foot factory building for offices, and lease out the 200,000 square-foot warehouse for warehouse uses, and build more office buildings on the site, so that, in a few years, as many as 4,000 workers will find jobs on the site. â€œIt will be a really big community for various business and employment-type uses,â€ he said. A Lever Brothers of Britain opened a factory in 1890 on the bank of the Don River in Toronto. For more than a century workers made soap here, including Sunlight and Dove products. In 2002 Unilever, the Anglo-Dutch conglomerate, sold the factory (but not the land) to Pensler Capital Corp. of Princeton, N. J., owned by Sandford Pensler. Mr. Pensler renamed the company â€œKorex.â€ He froze workersâ€™ wages. They lost their Unilever pensions. In 2008, Mr. Pensler offered a contract which workers said stripped seniority and benefits. About 160 workers walked out; in August, 2009, Korex Don Valley declared bankruptcy. Mr. Gerofsky compared his plans for the Unilever site to the method his firm has used to transform the Toronto Sun building, which first Gulf bought two years ago and has transformed, adding a No Frills, an LCBO, two banks and now bolting 100,000 square feet of space to the roof as a new head office for Coca-Cola Canada. Seems like a good enough reason to build a GO station at Eastern/Broadview - a sort of eastern version of the Ex stop. Or not. This is a sizable parcel of land and, if connected to Broadview, could really be well integrated into the southern riverside/leslieville area nicely. I'm hopeful. The site is quite huge.. Very interesting. I was always curious about plans for that area. It was always omitted from the waterfront plans. I think this proposal (subject to the details) is very interesting. 1) There is a long standing proposal to extend Broadview Avenue south through this site to meet Lake Shore Blvd. I want to see this or at least the potential for this preserved in any site plan. 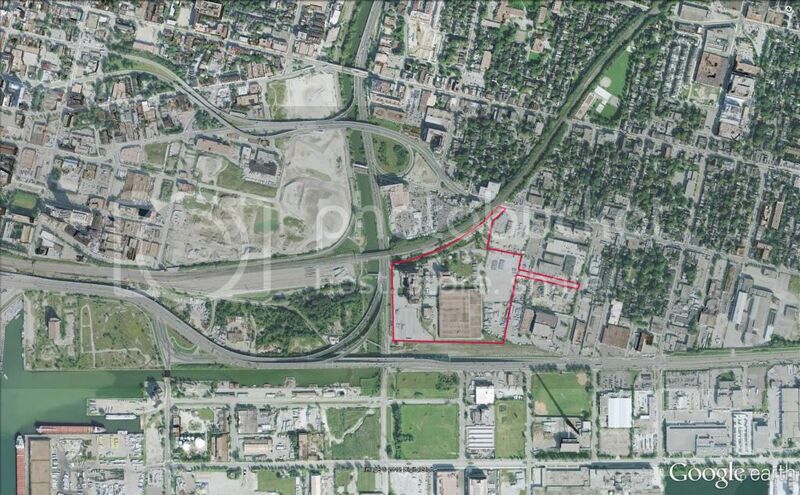 2) The site seems to exclude Keating Yard (the railway yard, abandoned I think) that actually fronts Lake Shore. Ideally I think these sites need to be managed together. I believe the sewage plant is still a rail customer, meaning at least 1 through track would need to be preserved. 3) There is some room on the western periphery of this site; and I think that should be used to assist in restoration of the Don Valley. Ideally, I'd like to slide the Don Roadway (the lowest part of the DVP), over a few metres, so that the freed-up land ends up next to the river itself; if that were not feasible, then I'd like to see a green, natural edge to the site. 4) I have a concern regarding public transit access for any staff. There is no service on Eastern that I know of; and service on Broadview stops at Queen. Somehow that would need to be addressed, or we end up with a massive parking lot and endless congestion. Were Broadview extended south, a dedicated streetcar could extend service (ie. new route) and loop at Lake Shore. Alternatively, service along Eastern, and a connecting walking route for pedestrians would be essential. With all that said, I look forward to what First Gulf may accomplish. An environmentally conscientious, libertarian inclined, fiscally conservative, socialist. 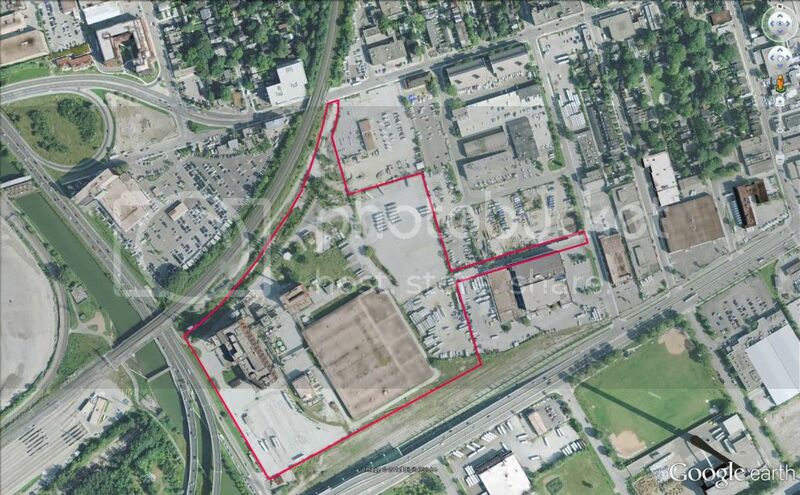 2) The site seems to exclude Keating Yard (the railway yard, abandoned I think) that actually fronts Lake Shore. Ideally I think these sites need to be managed together. .
"They" were doing lots of work in the Keating Yard this past summer. Many of the tracks were torn up but others were relaid and I have heard that GO is interested in using it as an overflow of the Don Yard. If the yard were to be abandoned it would certainly make sense to look at the use of both sites together. It certainly is a big lot. Yeah, no man's land and a good place to build large...no shadowing going on there. Back to East York... Alas! How do they provide flood protection on this site? Given that the WDL berm/park will push water east, and there's a lot of years and dollars before WT's park/floodplain arrives, are they allowed to build anything new here now, or will they have to build a whacking big hill first? In terms of shadowing, not really. You've got the whole West Don Lands community under construction to consider, as well as maintaining the Port Lands as desirable real estate if those plans for their redevelopment are ever to become a reality. In light of what's going around this site, the project should be a lot more refined than the Toronto Sun offices conversion.